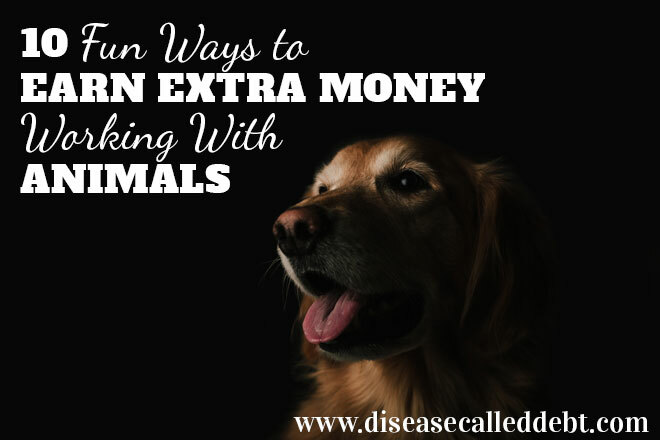 If you have a fondness for furry creatures and you could do with making some extra cash, there are several jobs you can do part-time or in addition to your day job that involves working with animals. Many of these jobs below require little in the way of qualifications (though there are a few that do). Experience will be needed! Let’s get the most commonly heard of animal jobs out of the way first – and although you might have heard of becoming a pet sitter already, it’s definitely worth considering! Pet sitters visit the homes of dogs, cats, rabbits, birds and even fish whilst their owners are away. You might be required to visit twice a day or just a few times per week. It’s a nice little earner on the side and you could make between £6 and £15 per visit in the UK and around $15 in the US. Many dog owners are busy people with jobs and need someone to come and make sure their dog gets enough exercise in the daytime. In addition, dog walkers also help out the elderly or infirm who find it difficult to take their dog out regularly for a walk. Dog walking is big business. In the UK, dog walkers typically earn a fifth more than the average UK salary, by working two weeks out of every month! To give you an idea of how much you could earn, the average hourly rate for a dog walker is £11.50 in the UK and $20 in the USA. This is a nice little business that you could set up on the side in addition to your day job. You could work some evenings or weekends. If you want to work as dog groomer, you won’t necessarily need qualifications but you will need some experience (which you can get by working with another dog groomer). Dog groomers need to be able to handle the trickiest of dogs, keeping them under control at all times whilst making them look their very best. Self employed dog groomers can earn a minimum of £25 per hour (UK) and more depending on the breed and size of dog. In the USA, you could expect to earn $70K per year, if you ran a full-time business, so a part-time business could turn out to be a nice earner too. You could set up a room in your home to operate as a dog groomer or run a mobile business. You will need to invest some money into equipment, such as grooming tools, to begin with. If you know your stuff with animals, breeding may be a profitable option for you. You can make money breeding pedigree dogs and cats and showing them at pet shows. Done properly and ethically, there may not be that much money to be made here but it’s still an option for those people that love their pedigree pets! 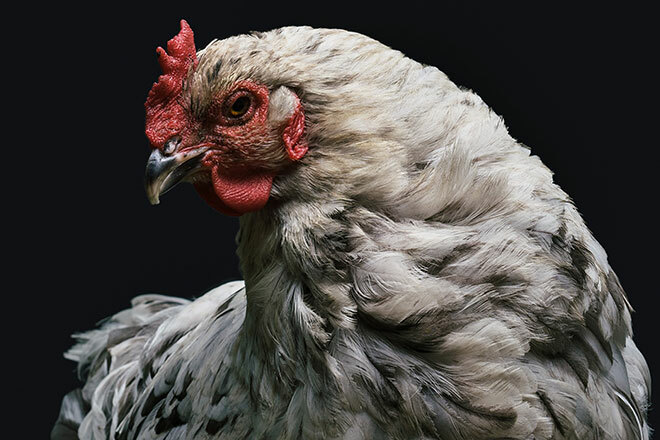 Breeding free range chickens on the other hand could be an even better way to make money. Firstly, you can sell batches of eggs to your local community (and save money by not having to buy eggs yourself). Secondly, you can sell adult hens for laying. When setting up a small hen farm at your property, you’ll need to make sure you’re aware of local regulations as there may be restrictions on the number of chickens you can keep if you live in a built up area. Let’s face it, chickens can be noisy. If you love horses and are skilled at horse riding, you may be able to earn extra income as an instructor. The pay varies but in the UK, it’s possible to earn around £30 per hour freelancing. In the USA, the average hourly rate for a horseback riding instructor is $23.80. Experience counts for a lot when it comes to teaching horse riding, although you may need to be working towards a qualification in order to get work. In the UK, these are offered by the British Horse Society (BHS). In the USA, you might find an associate’s or bachelor’s degree in equine studies useful. Another way of earning money if you love horses is to apply for part-time or casual work in a livery as a Horse Groom. You’d be responsible for mucking out the stables, providing fresh water and feed and possibly exercising horses too. This is a job that you will need a lot of skills for and on the job training but could be immensely rewarding and profitable too. In the UK, you’ll need to be a Certified Clinical Animal Behaviourist and a member of the Association for the Study of Animal Behaviour (ASAB). In the USA, there is currently no federal or state requirement for becoming an animal behaviorist. However, you’ll probably increase your chances of getting work if you undertake certification, which you can do via a number of organisations. Self-employed pet behaviour counsellors can charge between £85 and £250 per consultation in the UK. The average salary in the USA for an animal behaviorist is between $40K and $60K. This is more of a career option than a side job, but I’m thinking that you could set up as self-employed part-time too. If you can draw and paint or take great photographs, you could make a decent side income creating pet portraits! You could charge per session or per photo/picture. If you’re planning to take pet photographs, you’ll want to invest in a decent DSLR camera (like this bestseller) rather than a point and shoot, if you don’t have one already. You could target the organisers of pet shows for regular work and spread the word locally to attract the interest of pet owners who would love a great picture of their pets. You may find that pet photography is more profitable during seasonal celebrations such as Christmas and Easter. Some pet owners will love seeing their beloved pet photographed alongside Santa, Christmas presents and decorations or something equally as special. You could even offer pet photo calendars and arrange the printing of them yourself through companies like Vista Print. If you have a passion for bees and want to help the environment, one way of doing so that will also earn you money in the process, is to become a beekeeper. Beekeeping is often started as a hobby, but it can turn into something much more. This is a great article which explains how to get started in beekeeping, including things to consider when setting up and buying bees and equipment. The amount you can earn depends on how many hives you’ll keep and ultimately how much honey and beeswax you can produce and sell. It may take more than one season for your bees to start producing honey but when they do, you can expect to start earning. Typically, you can expect to produce 40-60lbs of honey per year, maybe more once your colonies are established. You can sell a jar of home-grown honey for at least £3 each in the UK and possibly $8 each in the USA. You can use beeswax to make soaps and candles ready for selling. A Countryside or Park Ranger is someone who looks after areas of the countryside and helps to conserve animals, habitats and landscapes. This can be a full-time career, but you can also find part-time and seasonal work too. You will need a qualification for this job and plenty of experience, which you can get by volunteering with organisations like the National Trust or Forestry Commission here in the UK and The National Park Service in the USA. If you’re particularly crafty and have a passion for pets, you can work with them indirectly by making and selling handmade products. For example, you could make pet collars, clothing (yes, really) bedding, pet toys and more. Take a look at these handmade pet products on Etsy for inspiration! There are a multitude of other jobs you can do either part-time or as a side hustle if you love being around animals. You could check local kennels or animal protection agencies to see if they are hiring, or contact your local zoo to see if they have any opportunities. Always check with your local authority before embarking on any work from home to make sure you’re abiding by any regulations or restrictions. And don’t forget about registering with your tax enforcement office as you’ll have to pay tax on any extra income earned. 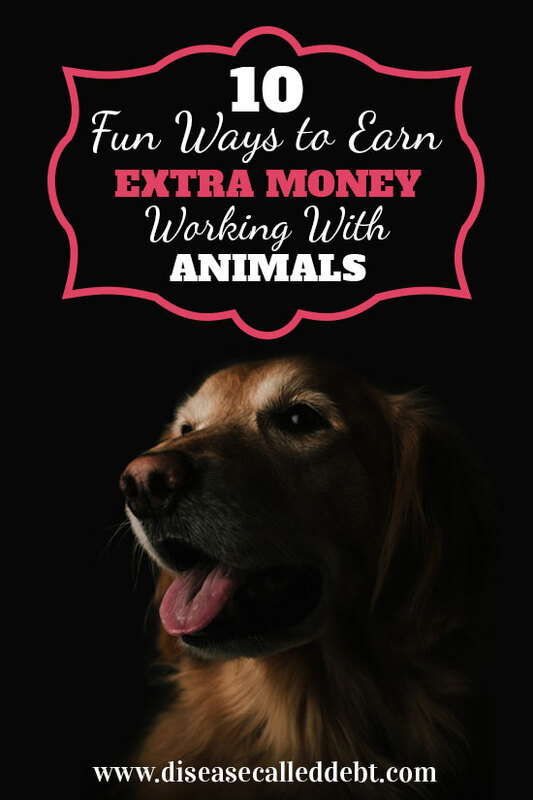 I hope you found this overview useful about making extra money working with animals. The links I’ve included above will give you more information about each opportunity! Do you have any ideas to add to this list? Please tell me in the comments below! *All images courtesy of Unsplash with text overlay added on the top and bottom pics. These are really fun ideas! My friend’s husband is really into bee keeping… Couldn’t put up with the potential of stings myself! A friend of mine loves pet sitting, she gets to spend a week or so with a friend’s dog AND gets paid. It’s kind of a total win for pet lovers – especially if you can’t full time commit to a pet but would love to spend a little time with one.